A note from Jake: Kyle Stults is the Founding Editor and publisher of Perpétuelle, which is one of the top online horological magazines. Kyle recently published a Rolex story on Rolex's innovation with Syloxi, which blew my mind with how well written and researched it was, so I asked his permission to republish it on Jake's Rolex World, and he graciously agreed. The following article is extremely detailed, and I love how Kyle was able to take a typically complex story, and make it really easy to understand. 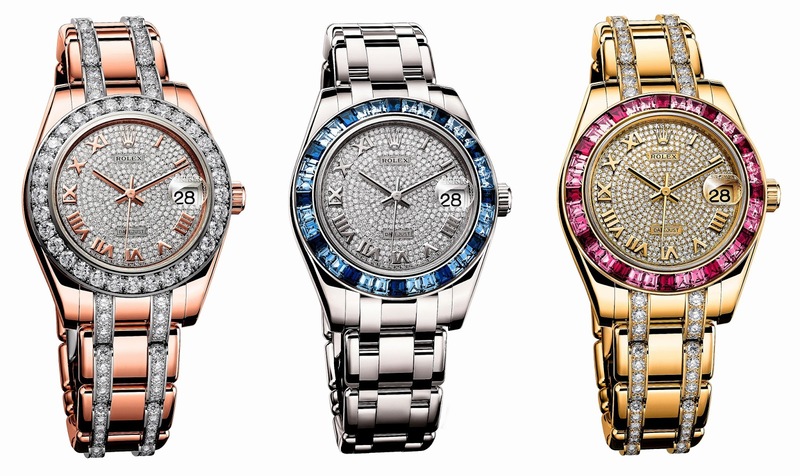 “Syloxi” is a Rolex trademark, derived from the materials from which it is made — silicon and silicon oxide composite. In this article, I will explore Syloxi in the context of the first component Rolex has elected to make with it — the hairspring. After many years under development, the Rolex Syloxi hairspring was introduced in March 2014 as “the optimal silicon hairspring”, according to Rolex. Rolex is of course not the first to introduce a silicon hairspring. The technology is available to certain Swiss manufacturers/groups: Ulysse Nardin (the first to introduce a silicon hairspring), Patek Philippe, the Swatch Group (Breguet, Omega et al. ), though it remains still somewhat of a niche technology. Though not the first, Rolex brings its first silicon (or ‘silicium’ as it is also called) component to market with its own set of innovations, with full in-house production capability, and in the peculiar manner (as is oft the external perception, at least) that Rolex often takes to introducing new products. Yes, chances are you have not even have heard of Syloxi until now. The Syloxi hairspring debuted at Baselworld 2014 — as part of the new Rolex Caliber 2236, a new generation of movement’s for women’s watches. That’s right — Rolex quietly introduced one of its most important technical innovations in years as part of a woman’s watch. Not that there’s anything wrong with that! And after all, what’s Rolex to do with all those Parachrom hairpsrings which currently reside in Rolex men’s watches? Follow along as I explore in-depth the new Rolex Syloxi hairspring technology. In a mechanical watch, the oscillator is the guardian of time. Comprising a hairspring and a balance wheel, this regulating organ determines the precision of the watch by the regularity of its oscillations. Ensuring the oscillator’s regularity is one of watchmaking’s great challenges. It can only be achieved by minimizing the effects of environmental disturbances that affect the oscillator’s performance, notably temperature variations (which cause materials to expand or contract), magnetic interference, gravity and other external shocks. Silicon, used selectively in watch components for about a decade now, has proven an ideal solution for overcoming many of the deficits of traditional hairsprings. In particular, the performance properties of silicon are further enhanced when covered by an oxide layer, thereby largely mitigating silicon’s tendency to be affected by changes in temperature. Thus oxide coated silicon, being thermo-compensating as well, makes for an ideal material to confront the challenges faced by the humble hairspring. Sharing in the general performance attributes of silicon, Rolex’s new Syloxi hairspring counters the shortcomings of traditional ferromagnetic hairsprings and significantly improves the regularity of the oscillator and the precision of the watch. It is insensitive to magnetic fields, while offering great stability when exposed to temperature variations. While intuitively more accurate than a traditional hairspring, Rolex naturally touts the Rolex Syloxi as particularly innovative among the realm of existing silicon technology. 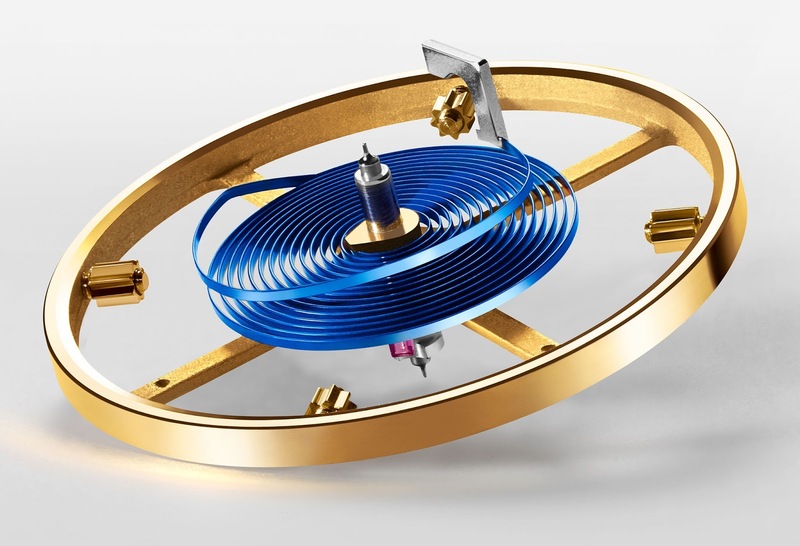 Attributes it has achieved by using new patented solutions, including optimized geometry of the hairspring and an efficient design of its fixation systems. The Syloxi hairspring’s performance is based on five patents. The first concerns the material of which it is made, a silicon and silicon oxide composite (as noted, mashup “sil” and “ox” and you get ‘Syloxi’), whose thermo-compensating and non-magnetic properties allow the Syloxi hairspring to maintain its high precision when subjected to temperature fluctuations and magnetic fields. Rolex has also developed a patented geometry that optimizes the isochronism of the hairspring as well as its chronometric regularity. The variable pitch and thickness of the coils, optimized along the whole length of the hairspring, ensures constant development in all positions, compensating for the effects of gravity. In the close-up image below, one can observe how the coils not only increase in thickness as they progress further from the center pivot, but are increasingly spaced farther apart. Rolex also refined and patented the manner of fixing the ends of the hairspring to the balance staff and the balance bridge, thereby enhancing its flatness and concentricity. A flexible central part allows it to be attached to the balance staff without the need for glue. The hairspring remains perfectly perpendicular, flat and is self-centering. The Syloxi hairspring terminates in a more rigid, reinforced crescent-shaped part that allows a two-point fixation to the traversing balance bridge. These fixation points are located at opposite sides of the balance staff ensuring that the hairspring is perfectly centered, perfectly flat and free of any residual mechanical stress in its active zone. This type of fixation also allowed Rolex to optimize the beat adjustment using the Paraflex shock absorber that features a fluting for this purpose, and which is also the signature of calibres equipped with the Syloxi hairspring. 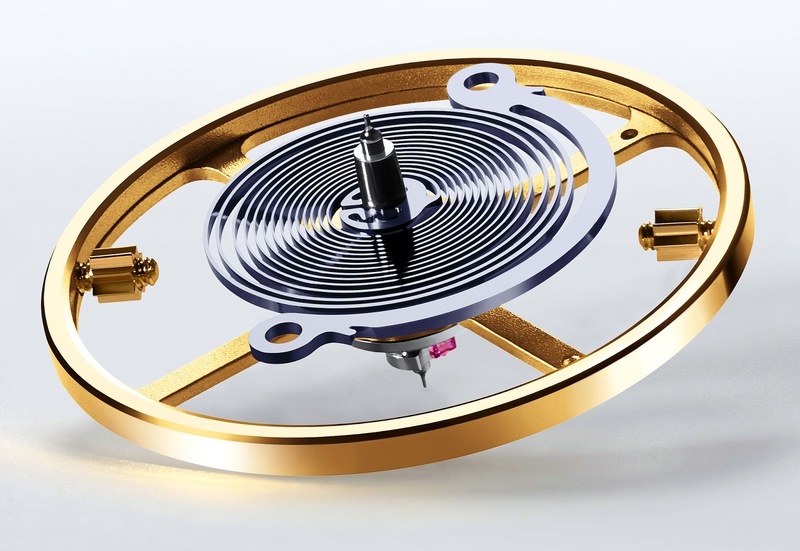 The Syloxi hairspring is manufactured entirely in-house by Rolex via a high-precision manufacturing process known as deep reactive ion etching (DRIE). This is a well-understood and commonly used technique as it pertains to the manufacture of silicon components. As noted, the Syloxi hairspring was introduced in 2014 in calibre 2236, the first of a new generation of movements for Rolex women’s watches. 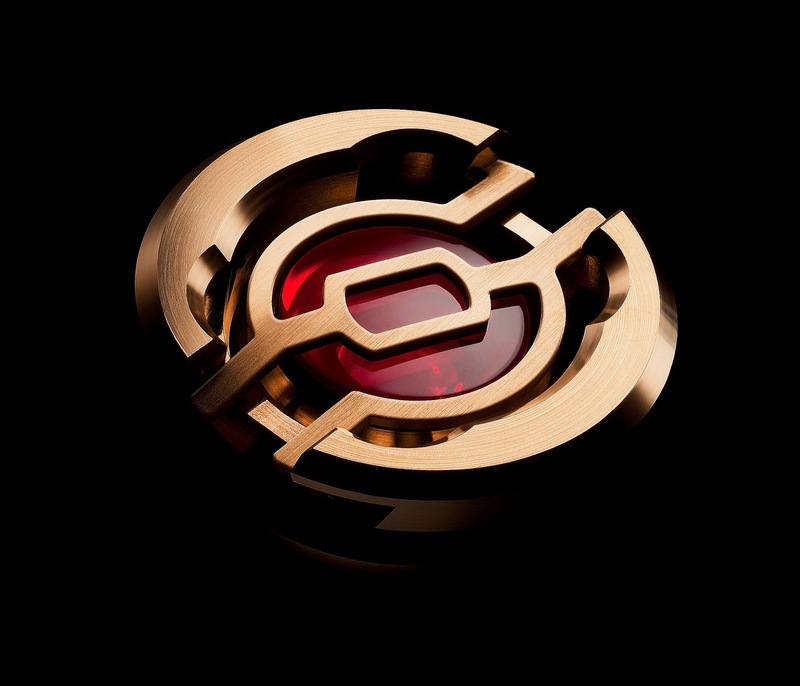 As part of the new Caliber 2236, the Syloxi hairpsring sits alongside the brand’s range of high-performance hairsprings, namely the Parachrom hairspring that equips men’s models. As of today, all Rolex men’s models are equipped with the blue paramagnetic “Parachrom” hairspring which was developed and patented by Rolex in 2000 and first launched in the 4130 movement in the Rolex Cosmograph Daytona. Parachrom is made in an exclusive alloy of niobium, zirconium and oxygen. In 2005, Rolex introduced a new patented process to modify the surface of the Parachrom hairspring and thereby further reinforce its longterm stability. It is this same treatment that produces its characteristic blue color. Even at a glance, however, one can see the vast differences between Parachrom and Syloxi. Pictured above is the Rolex Parachrom Hairspring, and pictured below is the Syloxi Hairspring. So without much pomp and circumstance behind it at the moment, where does this leave Syloxi today? Rolex’s decision to introduce the Syloxi hairspring in a very low-key manner, and in a woman’s watch — appears to be a matter of tactics. It is a cautious approach for a cautious brand. Which is understandable for the world’s most valuable watch brand — nee, one of the world’s most valuable brands period. At least in the near term, there is much more to lose than to gain by the hasty and unthoughtful introduction of a profound new technology into the marketplace, particularly when Parachrom hairpsprings work quite well already. But there is no doubt that the introduction of the Syloxi hairspring is a major advancement for Rolex, and the possibility that it could one day be a major part of the Rolex caliber families is a real one. Which naturally brings us to the “what’s next” question. Likely, introduction into a caliber used for Rolex’s mens range. Whether that happens one year or ten years from now is pure conjecture. Beyond this, the question is more broad: what’s next for Syloxi? Watch components other than just hairsprings could be made of the high-tech material, and that’s where things could start to get really interesting over at Rolex. 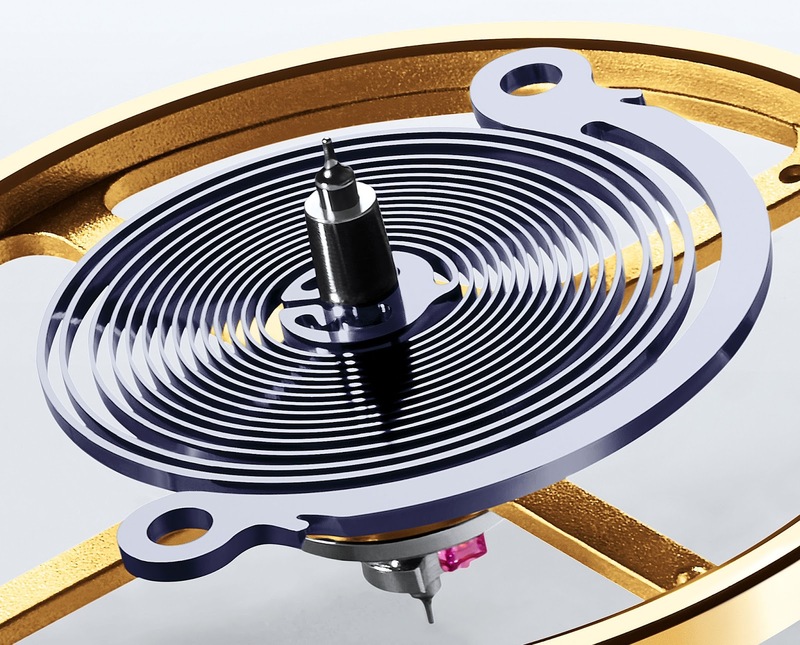 One thing is for sure, these are exciting times for Rolex’s new high-performance silicon heart known as the Syloxi hairspring.